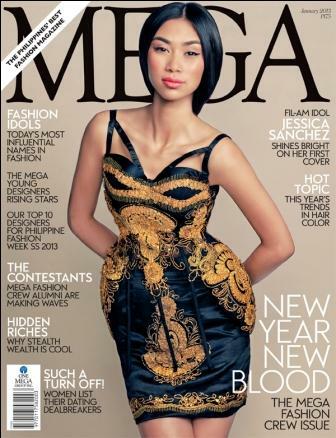 MEGA, the Philippines’ best fashion magazine, is proud to have Jessica Sanchez on the cover of the January 2013 issue, and her first ever at that. The Season 11 runner up is coming back to American Idol and this time as a full-fledged artist, performing alongside Ne-Yo for her upcoming single and at the same time showing her debut cover of MEGA Magazine to the whole world. Jessica’s new album, “Me, You and The Music,” is out in May and according to her she was pretty much involved in the creation of the project. She claims that this is where she will be able to show her new and improved self – Jessica Sanchez 2013. Be sure to catch her on American Idol on March 21, 2013, 6PM only on ETC.